You are here: Home » Flooring Supplies » Wood Vents » Red Oak » Drop In » Red Oak Wood Vent Drop In With Damper 6"x14"
Red Oak Wood Vent Drop In With Damper 2" x 12"
Red Oak Wood Vent Drop In With Damper 4" x 10"
Red Oak Wood Vent Drop In With Damper 2" x 10"
Red Oak Wood Vent Drop In With Damper 6"x14" is a quality hi-output drop-in vent. overall area (sq. in. 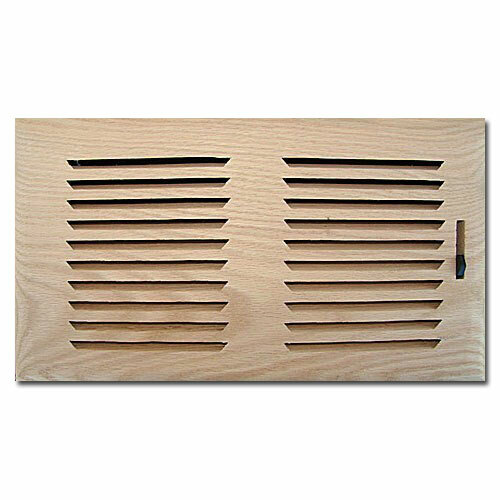 ): 6"x14"
Red Oak Wood Vent Flush Mount With Damper 4"x12"